The scallop shell is the symbol of a pilgrim. 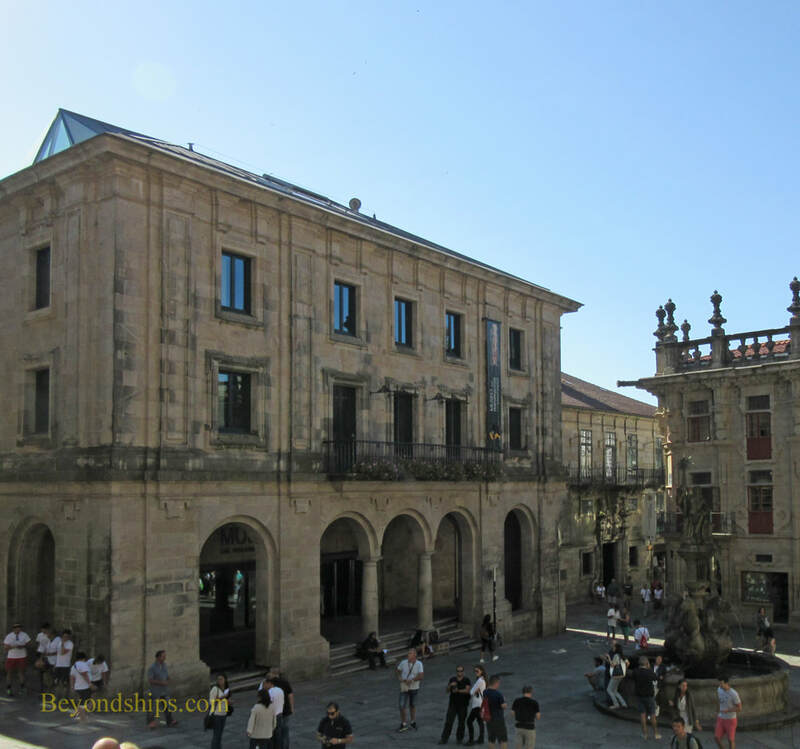 ​ Santiago de Compstela has been attracting visitors for more than a thousand years. It is the capital of the autonomous region of Gallicia but its international reputation is based on its role as a religious pilgrimage destination. A World Heritage site, it is located in northwest Spain about 60 miles from the port of Vigo. According to tradition, St. James, one of Jesus' apostles, brought Christianity to the Iberian Peninsula. However, when he returned to Jerusalem, he was beheaded in 44 AD. His body was then brought back to Gallicia to be buried. However, in the chaos accompanying the collapse of the Roman Empire, his tomb was abandoned and its location lost. In 844, a hermit named Pelageus saw strange lights in the sky and followed the lights to a field where he discovered the burial place of St. James. Pelageus told his bishop who in turn told King Alfonso II of Asturius and Gallicia. King Alfonso journeyed to the site and ordered that a chapel be erected. This was the beginning of Santiago de Compostela. Within a century, pilgrims from throughout Europe were journeying to Santiago. Such a journey was viewed as an act of penance for which the sins of the pilgrim would be forgiven, a plenary indulgence. Hundreds of thousands of people made the pilgrimage during the Middle Ages. As a result, churches, hospitals and whole towns sprung up along the pilgrimage routes. 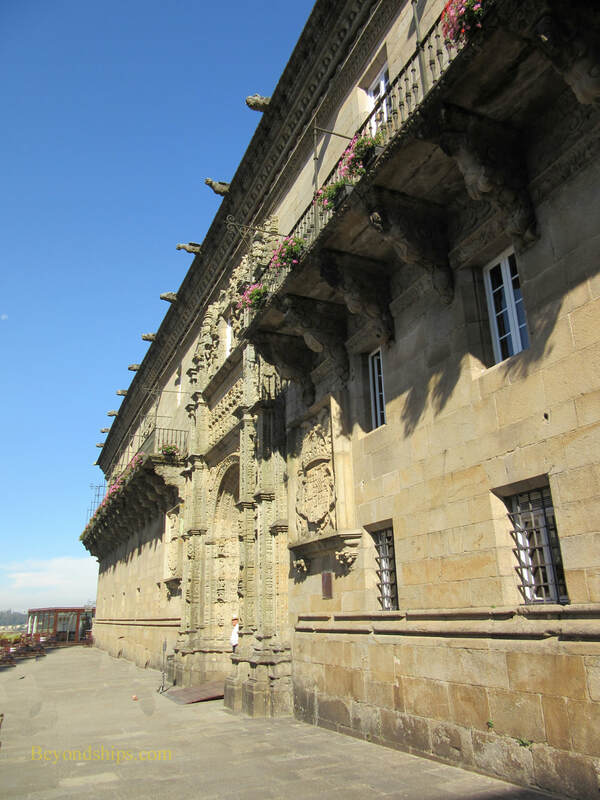 At the same time, Santiago de Compostela grew into a cathedral city with an array of impressive buildings. Natural disasters, plagues and Europe's various wars reduced the number of pilgrims at times, but the pilgrimages have continued from the Middle Ages to the present. In fact, in the late 20th century, there was a resurgence of interest in this pilgrimage. As a result, each year some 200,000 people still follow the various routes across Europe that make up the Camino de Santiago (“The Way of St. James”). Most walk or cycle but some make the journey on horseback. You have to walk at least 100 km or cycle 200 km to earn the Compostella, the official certificate of accomplishment. Many are motivated by religion but some make the journey for sightseeing or just to have the experience. 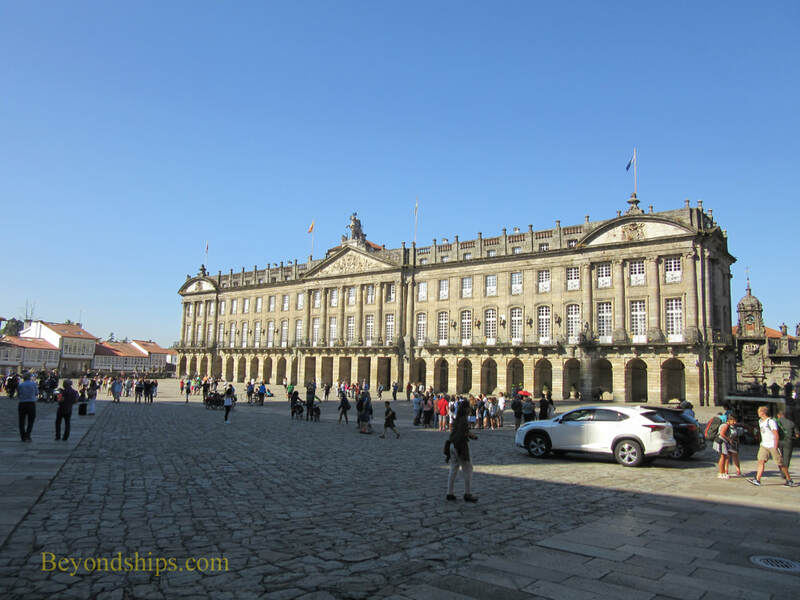 Pilgrims are not the only ones who visit Santiago de Compostela. It is also a popular tourist destination. 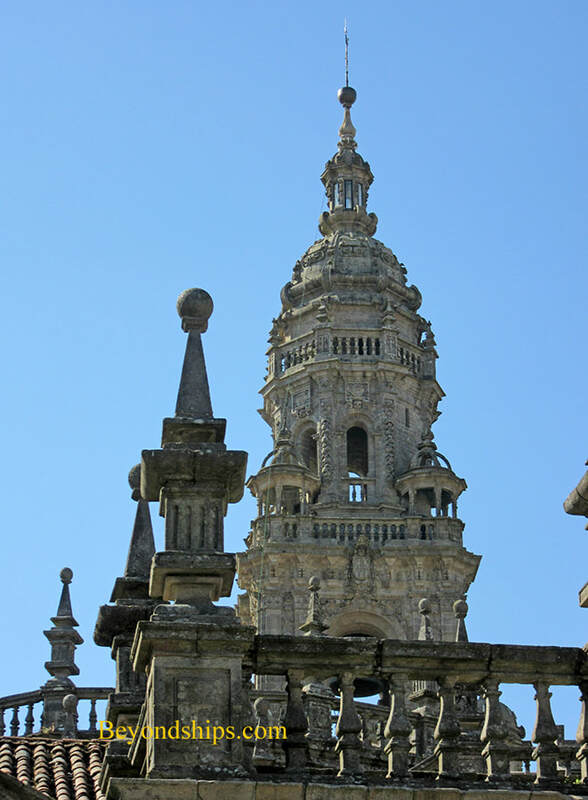 Having received travelers for centuries, Santiago is tourist friendly. Much of the historic city has been pedestrianized and there are parking lots for coaches and cars in the surrounding area. The epicenter of the historic city is the Plaza Obradorio. A huge square, it is bounded on each side by important buildings. On the north side of the square is the Hostal dos Reis Catolicos, built in 1486 by King Ferdinand and Queen Isabella as a hostel and hospital for pilgrims, it is now a five star parador. It is said to be the oldest continuously operating hotel in the world. To the west is the Pazo du Raxoi, an 18th century Neo-classical palace, now the city hall. 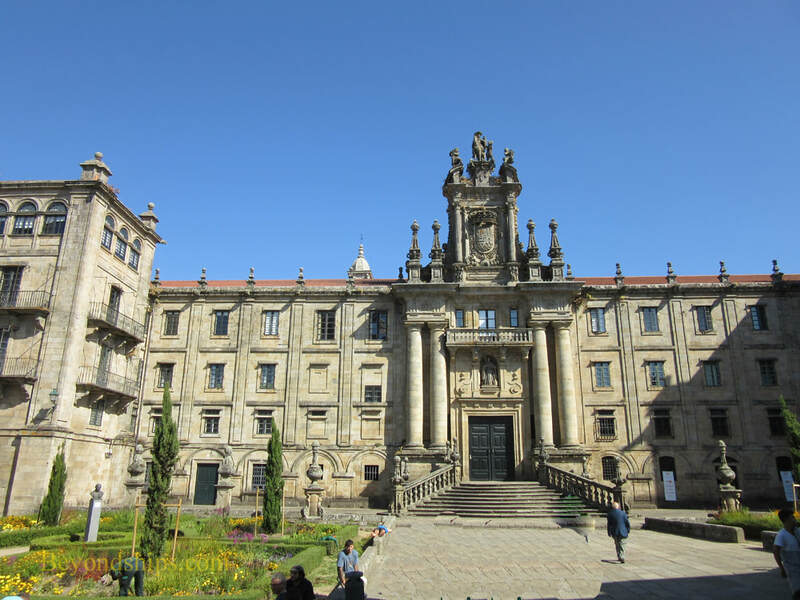 To the south is the Colegio de San Jeronimo, a college founded in 1501. 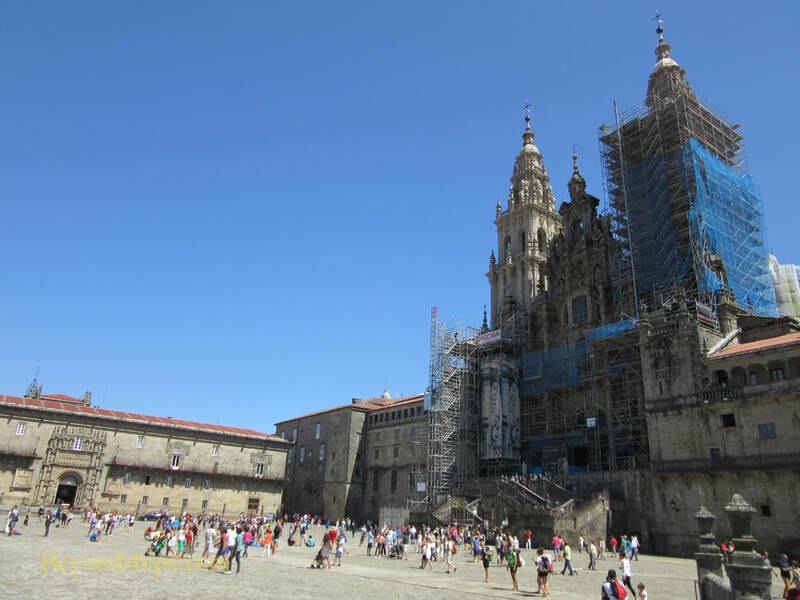 The east side of the square is dominated by the Cathedral of Santiago de Compostela. It is built over St. James' burial site replacing King Alfonso's original chapel and two later churches. Begun in 1075, the Cathedral was not consecrated until 1211. The original design was Romanesque but modifications in the 16th, 17th and 18th centuries added Baroque and Neoclassical elements. Although the western facade is the most famous, the other three sides are also architecturally interesting. Services are still held in the Cathedral. Between services, it is usually open to visitors. Although it is a big building, in the summer, it can be crowded as tourists, tour groups and pilgrims mix with worshipers. Next to the Cathedral is the Cathedral Museum with archaeological exhibits, sculpture, painting, precious metalwork, tapestries, rugs, liturgical robes, ceramics and furniture. 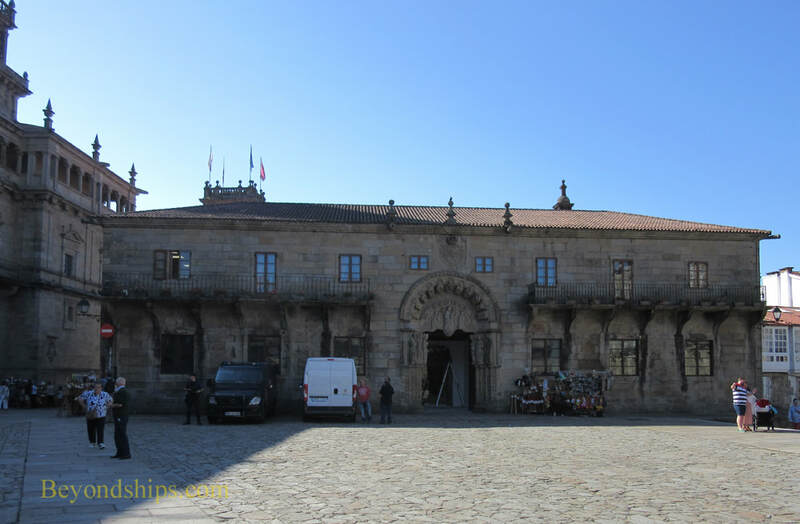 Among the other museums in the historic city is the Museum of Pilgrimage of Santiago, which is in the former Bank of Spain building near the southern entrance to the Cathedral. The nearby Monastery of San Martin Pinario also has a small museum. The Museum of Sacred Art includes the original altar raised over the relics of St.James. Spreading out from the Plaza Orbadorio, the historic section of the city has narrow winding lanes. These are lined with cafes and shops. Many are aimmed at the tourists but there are also traditional markets partonized by locals. There are also several small churches and architecturally interesting buildings in this section of town. ​Below: Hostal dos Reis Catolicos. Above: Colegio de San Jeronimo. Above: The Monastery of San Martin Pinario, the second largest monastery in Spain.